The Xiaomi mobiles launch with cutting-edge technology, embedded the great specifications and catchy design for the price, that bringing the new customers to buy their various versions. Xiaomi always focuses on offering high-end smartphones at affordable prices, including advanced features, high-end hardware. Xaiomi is value-for-money & more appealing than other brands. In just 10 months, they sold 100 million Xiaomi smartphones till now this year. They have two plants established in India (Sri City, AP) where they assemble the imported parts. The Xiaomi phone devices are totally built in China, and even though, it is clearly written 'made in India' on the box, the upcoming mobiles like Redmi Y1 are assembled in India and all of its parts are imported from China. Xiaomi is a top-selling Chinese smartphone brand in India. Let's check out some important questions and the answers to know about Xiaomi Brand's MI, Redmi, Note Series Mobile Phones. Also, if you haven’t read 'Smartphone Buying Guide: 15 Things To Consider Before Buying A NEW Phone', I highly recommend checking it out after reading this page. What is an MI company? Mi is a short form of 'Mobile Internet'. It is also a short form of 'Mission Impossible'. The reason being Xiaomi suffered so many difficulties which were almost impossible to go against in their early days. 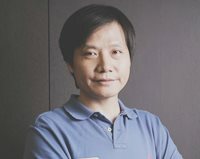 Xiaomi first started its journey in 2010 by a businessmen Lei Jun. They are so good at creating a quality hardware, software and internet services. They seem to work with a tagline 'incorporating a remarkable and quality technology accessible to each and every person'. The founder states that the secret of Xiaomi's successes is to concentrate on customer's feedback and incorporate them into their products. With an ambition to be a global brand, Xiaomi has succeeded to sell 61 million mobiles in the year 2014 and this is not over yet as they are still expanding their footmarks in Europe, UK US etc. When you go through the about page you will find a line 'always believe that something wonderful is about to happen' and I feel they are justifying that statement when I have a look at their Pocophone series, budget Redmi phones, and premium Mi phones. Xiaomi is a proprietary or privately run company which is engaged in designs, manufactures and sells of smartphones with Android OS. Other consumer electronic products are also a part of this company. I think the main secret of their success in India is that they mostly sell their phones through the flash sale. Is a Mi phone worth it? In my opinion, yes it does. Xiaomi really worth it. Those who know Xiaomi, also know that Xiaomi offers comparatively low price than other competitive brands. There is a big difference in price. A phone that Samsung, Vivo offer for 15k, Xiaomi sells it for 10k. Yes, that's the reality. But that doesn't mean there are problems with specifications. No, as compared to the price, these are very good in performance, camera quality and even in design. As it is a Chinese brand or product, some people think that it would be like other Chinese products. After use for a few months, it will create some problems or it will be of no use. I also know the fact about Chinese products but the reality seems to be completely different for Xiaomi. Xiaomi phones are very good in all speciations. I can't say all handsets are same or good. Someone may get some problem after using for some time. But the fact is, that happens with each and every brand you know. That also happens with Samsung, Vivo, Oppo, even with Apple. So that doesn't mean all handsets have a problem. And if you see at the back side of the iPhone you can see 'Made in China'. Xiaomi's handsets are very good according to their specifications. Some people wonder about the specifications or features that it gives at a low price. I think that may be one of the reasons why such people still don't use Xiaomi. In reply to this I would say, it's a new company in comparison with companies like Samsung, Apple, LG etc. who have already set their market. So to stand against them it was necessary to cutthroat the price and Xiaomi did the same. Why one should buy Xiaomi if both Samsung and Xiaomi offer with the same features at the same price as Samsung is a more trustworthy brand. So to stay alive in the competition it has set its price low from the beginning. As Xiaomi sells smartphones at the low price, it doesn't earn big profits from its sales. It relies mostly on accessories sale to get more earnings. Which is the best MI Phone? One of the biggest smartphones brand in China today is Xiaomi. It is equal to the world's most popular smartphone brand 'Apple' in the Chinese mobile market. Within a shorter period of time, it has become a brand of people's choice in India and China. It has made its mark in Europe too. With the launch at the UK in November, it has successfully entered the markets of Spain, Italy, and France; and with no surprise, it is going to launch in the US in the year 2019. Considering the countries Europe, US etc. Xiaomi has to offer something extra and more special features and specs at the similar price range as one can get here. 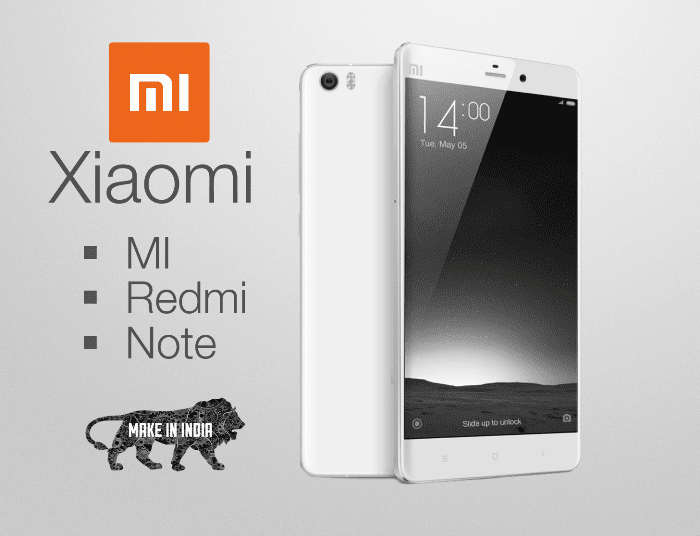 It is a bit of jumble for first-time buyers to understand the Xiaomi's Mi and Redmi series. As we discussed, the Redmi is Xiaomi's budget smartphone so it will be unusual to look for similar kind of features and performance one can get from its premium or flagship brands i.e Mi. The Xiaomi's Note series offers a large screen which is also called as phablets. At the moment Mi 8, Mi 8 Pro and a concept phone Mi Mix 2S lead the table as best Xiaomi phones. The top list will be updated with the addition of newly introduced phones along with Mi Mix 3. It is an amazing phone at a competitive price of approx. Rs.39500/- with all new transparent back design with a view of the internal circuit. It is available in the UK from 9 November. The Mi pro 8 phone comes with a 6.21 inch full HD AMOLED screen with 2.5D Gorilla Glass 5 protection on the front with the edge-to-edge screen. Mi pro 8 feature: It also has a polished frame of 7-Series aluminum on the surroundings. There is one more Gorilla Glass 5 at the back which is curved in all 4 directions. 128 GB is a plenty of space along with 8 GB of ram. The power switch is red in color which is another one look at the feature. The buyers have three options as far as the color is concerned i.e black, Meteorite black, Shuguang In color. The built-in fingerprint sensor provides the primary security feature. The only concern about this phone is its 3000mAh battery which should have been more. With a super AMOLED capacitive display having screen size 6.21 inch, Mi 8 is another one best smartphone from Xiaomi with 18.7:9 aspect ratio. It supposed to be the first phone that supports 5L band of GPS signal. The phone comes with an all-new 3D face detection feature and an infrared face detection camera just like only selected galaxy phones have. This is comparatively low price phone than other same feature phones. Mi has brought a new series called Pocophones. With the ever cool name and even killer features, it has already made to sweat for other competitor manufacturers. If you look at the other competitor brands with the same features, no one offers low cost than Mi Pocophones. It is being said that if Xiaomi keeps continuing experiments like this, competitors will definitely get too much worried. For those who want to buy a budget smartphone then they have the best option with Mi A2 Lite, you can't get better than this. The phone features a 19:9 notch display with a premium design and dual rear cameras. The performance is good along with the internal storage of 64 GB which is expandable up to 256 GB with micro SD card. The phone is provided with a separate micro SD card slot, therefore, you don't have to sacrifice your 2nd sim. Mi mobile is a smartphone brand of Xiaomi company. These are high-end smartphones with special features in comparatively low price as compared to other competitive brands. Mi pro 8, Mi mix 2, Mi 8, Mi Pocophones are few examples of Mi mobiles. Mi mobile phones run on Android OS with MIUI skin. Mi phone offers best performance and quality than Redmi series along with a plenty of storage. They also enable fast charging and long-lasting battery. It was 23 April 2015 the day when Xiaomi CEO Lei Jun along with VP Hugo Barra launched the new smartphone by the name of Mi 4i in India. Is MI and Redmi same? The answers were different by different people for this question before this article. But after this article, the answer will be only one by everyone and that is, MI & Redmi are not different they are the same (Two different products built by the same company). They are nothing but the two series of Xiaomi smartphones. If you ask me to explain, I will make it clear with a simple example. Everyone is familiar with Samsung's 'S' series and 'J' series. These are the two series of Samsung smartphones. Similarly, Vivo smartphone has two series, series 'V' and 'Y'. So same is the case with Xiaomi smartphones, it has two series namely 'MI' and 'Redmi'. Mi max 2, Mi mix 2, Mi A2 are MI series. while, Redmi 3S, 3S prime, Redmi Note 4, 4A, Redmi Note 5 Pro, Note 6 Pro. Both Mi and Redmi series smartphones are manufactured by Xiaomi. So both are same, the only difference is Redmi series smartphones are budget smartphones which were published for the first time in July 2013. They are a bit cheap in price. Whereas Mi series smartphones are premium smartphones that offer a high price. What is the difference between Redmi and MI? It is quite appreciable that Xiaomi has top listed the market for smartphone brands in India. Now they are the number one and most preferred brands of Indian mobile market. The reason being their cost-effective policy. At the start, it was a software company. After that, it incorporated software and hardware into smartphones which finally resulted in the creation of Mi company. Both Mi and Redmi are supplementary of Xiaomi company and differentiated by cost, performance, and quality. Mi is the latest smartphone series by Xiaomi. Mi phones are made for Multitasking purpose which has more RAM and space that offers better performance in comparison with Redmi series. These are built with high-end mainstream chips for better speed. The processor is very good too. Mi phones have big screen along with a better touchscreen experience than Redmi phones. One can feel the touch difference. All metallic body is another one plus point of Mi over Redmi which adds more style to its design. The cameras come with dual tone flash which are having high quality for Mi. Mi stands taller in case of stability and fluency. These are Xiaomi's flagship phones and have high price than Redmi series. Mi max 2, MI 4, MI 4i, MI mix are some examples of Xiaomi's Mi Series. Redmi series was launched in July 2013. Redmi's are budget phones as I can say for common/normal customers. No doubt these devices have low speed and processor as compared to Mi series but looking at these phones, one can say Xiaomi has offered good performance phones in low budget. The RAM and storage that Redmi offers seem enough for normal customers. The touch is not as sensitive as of Mi but considering the budget it easily suits the pockets of normal users. Redmi Note 4, Redmi note 2, Redmi 3S /3S prime are some of the examples of Xiaomi's Redmi series.